People for Education’s 2016 Annual Report on Ontario’s Publicly Funded Schools found significant disparities between urban and rural schools. 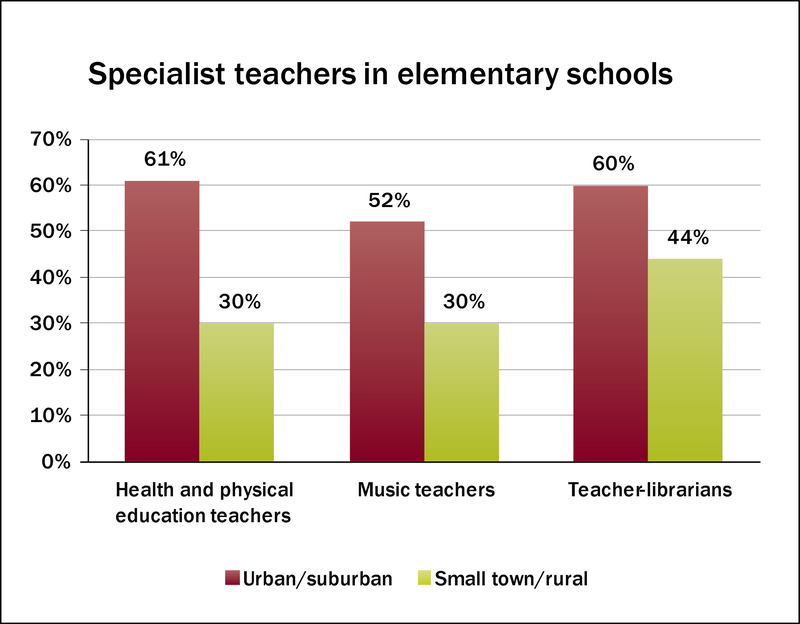 The report shows students living in small towns, rural and Northern communities are less likely to have music or health and physical education teachers, have less access to psychologists, and are more likely to attend schools that put caps on waiting lists for special education. The report recommends a review of Ontario’s funding formula in order to address these inequities. The second annual report card on child and youth mental health from Children’s Mental Health Ontario (CMHO) shows that over the past ten years, there has been a 54% increase in emergency room visits and a 60% increase in hospitalizations of children and youth seeking treatment for mental health issues. But the system is struggling to keep up with the increased demand for services, resulting in over 6,500 children and youth waiting over a year for treatment. The Ontario government has released a new report, The Journey Together: Ontario’s Commitment to Reconciliation with Indigenous Peoples. The report includes $250 million in funding over the next three years. In education, the government promises to provide curriculum-based resources for teachers, and to develop a plan to ensure that all students from K to 12 learn about residential schools, the effect of colonialism and the importance of treaties.